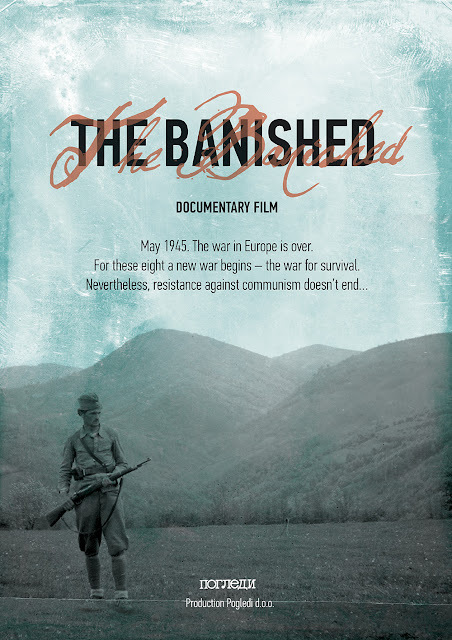 "Cinematography company Pogledi has recently released its newest production which is the documentary film The Banished which is about the destiny of the Chetniks after May 1945 or after the Second World War in other words. The film contains the testimonies of eight banished Chetniks interwoven with clips of the areas in which they were located along with their photographs. The movie contains testimonies from: Lieutenant Ivko Jovanovic, Sergeant Gojko Danicic, Chetnik Miodrag Tasic, Dr. Dusan Djukic, the son of General Svetislav Djukic, Ravna Gora member in Belgrade Tihomir Ilic, Supreme Command member and post-war Ravna Gora member in Belgrade Dr. Ognjan Adum and Djurica Krstic who was a member of the Ravna Gora Youth and a post-war Ravna Gora member in Belgrade. They all survived prisons in Socialist Yugoslavia aside from Djurica Krstic. After leaving prison, Ognjan Adum joined the illegal organization called the Serbian National Revolutionary Youth located in Belgrade – which the Communists never uncovered." Filmed by: Srecko Divic, Vladimir Momcilovic, Idei Sandor and Predrag Rudovic. The Banished - Documentary Film from Miloslav Samardzic on Vimeo.